Having a family means being ready for anything, especially while you’re traversing the roads of Marlton, Mount Laurel, and Cherry Hill. That’s why the 2019 Honda Odyssey provides you with a versatile cabin, responsive technologies, and of course, trustworthy performance, all so that you can enjoy your adventures with your loved ones. Of course, before you take this minivan for a spin, you need to learn more about what you’ll find once you’re behind the wheel. To help you do exactly that, we’re here with this 2019 Honda Odyssey review created by Burns Honda. With this caravan as your sidekick, you’ll focus less on your vehicle and more on creating memories with your family. When you’re traveling with your kids, you know that there’s always the chance of something spilling. 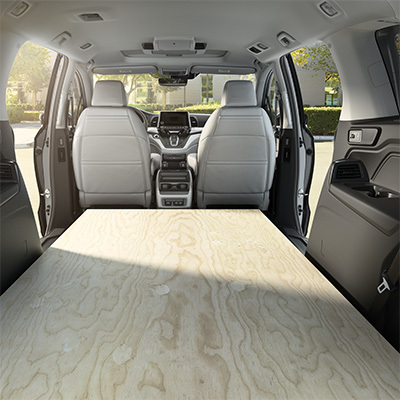 Luckily, the 2019 Honda Odyssey ensures that you’re ready to handle any type of mess with the available HondaVAC®. This built-in vacuum system conveniently tucks into the trunk of your minivan and quickly cleans up dirt, crumbs, and more. In addition, the removeable waste bin makes it easy to transport that debris to your trashcan once you reach your destination. On top of that, you’ll be able to keep an eye on your little ones thanks to the Honda CabinWatch® system, which allows you to view the backseat from your touchscreen display. This handy feature even comes with night vision, so that you can make sure your kids are working on their homework or catching some shut eye. To keep you and your family comfortable throughout the entirety of your trips—whether you’re dropping your kids off at school or heading to a vacation destination—lots of entertainment is essential. Need a way to keep your children distracted during long road trips? If so, check out the available Rear Entertainment System, which displays their favorite videos and movies from a 10.2-inch screen. Plus, the wireless headphones allow you to enjoy the peace of a quiet cabin while your little ones watch their film. While you’re paying attention to what’s ahead of you, it’s important to be armed with plenty of power, so that you can make quick maneuvers to avoid an accident or reach those highway speeds in a matter of seconds. Well, the standard 3.5-liter engine tucked beneath the hood of the 2019 Honda Odyssey will get you there, thanks to its ability to churn out some serious performance. Once you press the accelerator, you’ll surge forward with 280 horsepower and 262 lb-ft of torque. And, by pairing all that strength with a standard 9-speed automatic transmission, you’ll be provided with effortless gear shifts, no matter what your driving style may be. Test Drive Your 2019 Honda Odyssey Today! At Burns Honda, we believe that every family near Marlton, Mount Laurel, and Cherry Hill deserves to begin each day inside a reliable vehicle that’s adorned with everything you need. 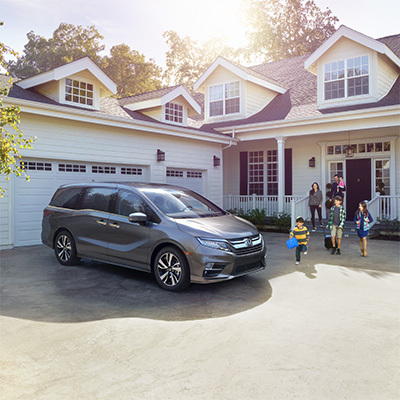 So, if you’re searching for a minivan that won’t settle for anything less than convenience, connectivity, and capability, look no further than the 2019 Honda Odyssey. To explore more about how this automobile can make your life even easier, feel free to stop by our showroom or schedule your test drive today!